VIEW VIEW VIEW! BE ABOVE THE CLOUDS ON THE TENTH FLOOR. AMAZING VISTA LAS PALMAS CONDO! Very desirable condo on the 10th floor. Large beach front ocean view living area and three spacious bedrooms, three and a half bathrooms, incredible open great room with gourmet kitchen area and sunset perfect terraces. Luxurious finishes include imported Italian porcelain tiles, granite countertops, Stainless-Steel appliances, Italian cabinetry in Kitchen and Bathrooms and hardwood accents throughout each home. Each condominium home has two separate lock-off bedrooms for rental income if desired. 100% power back up, large designer pool with Jacuzzi spa, dedicated parking, and green area. 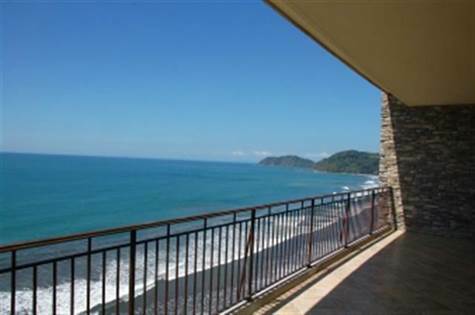 Vista Las Palmas Beachfront Condominiums are fee simple property and title guaranteed. Vista Las Palmas offers the luxury of beachfront home ownership with the conveniences of a first-rate vacation resort.